I found Kris here on this site when she sent me a response to needing an minister in less than two weeks. My Best Friends son was going to marry his fiancee and self officiate their own wedding. 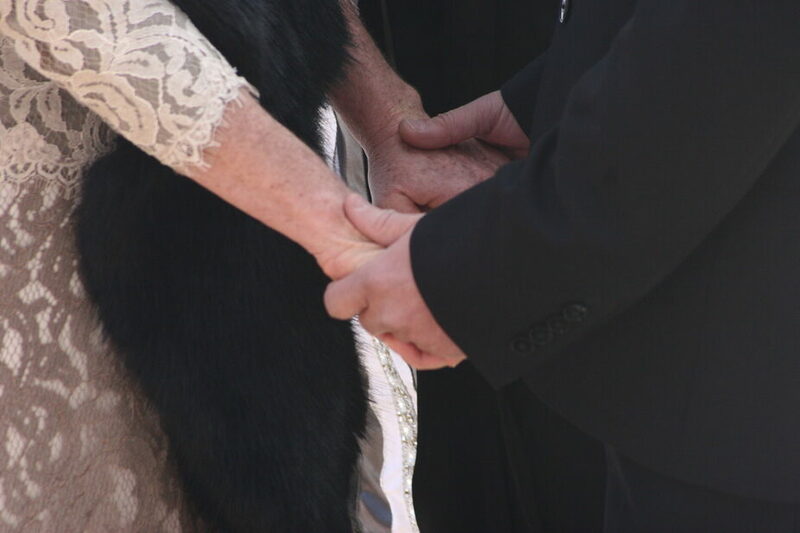 This is not the way we wanted them to begin their new life together. I can absolutely say that Kris and Ken Bowen of Colorado Wedding Ministries made the wedding ceremony today, the huge success that it was. I don't know where I would have been without Kris's guidance and support. Thank you so much for EVERYTHING you did for us, Kris and Ken, the pictures were beyond spectacular. I will be forever grateful to you both. I am so glad that I had you as our professional photographer, Ken Bowen and Kris Bowen, as our Minister!! I would highly, highly recommend!! Kris was fantastic!!! 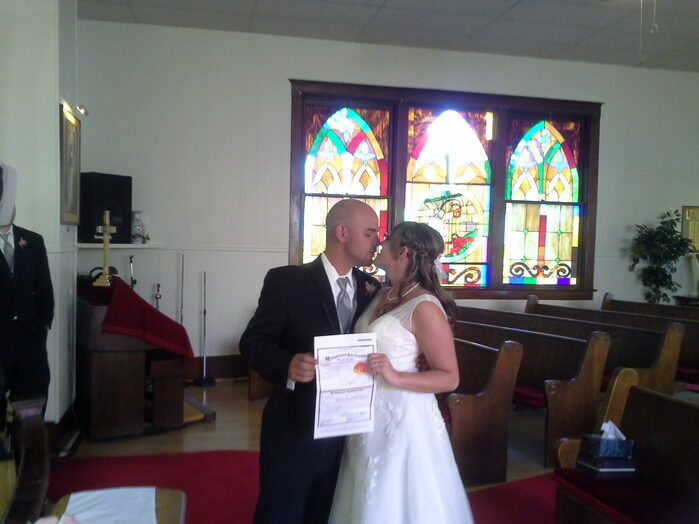 Her professionalism and experience helped us ensure our wedding would go smoothly. Her bubbly personality was a great fit for us, and she helped us feel at ease on such an important day. We will highly recommend Kris in the future. Kris was awesome! She was super flexible and took everything we threw at her in stride. She took control and guided us so that we knew where to be and what to do so we didn't have to worry about it! I had moved states unexpectedly about 4 months before the wedding so I was definitely not the most organized or responsive bride, but she still managed to create a meaningful ceremony for us without much direction from me. We loved her!! She did it all... Pinned corsages, took pictures of us getting ready, coached us, grounded my misbehaving fiance (which he needed lol)! We would have been lost without her. "Kris performed a beautiful ceremony. We were simply delighted . She has certainly found her calling and We would not hesitate to highly recommend her." "Kris was such a fun wedding officiant to have at our wedding. She's very funny and keeps things laid back in a situation when people are normally stressed out. She was very adaptable to things changing last minute during our ceremony. She is very affordable and this was very helpful for us because we had some issues finding a minister at the last minute. She kept things running on schedule and was very helpful with the processional and recessional since we didn't really know what to do or in what order. A lot of our guests commented that she spoke very clearly and they could understand her during the ceremony. We would definitely recommend Kris to anyone." "We had a very complicated timeline with the skydive and Kris handled the constant changes easily and made sure everyone was where they needed to be even when the plan changed several times at the last minute!!!" 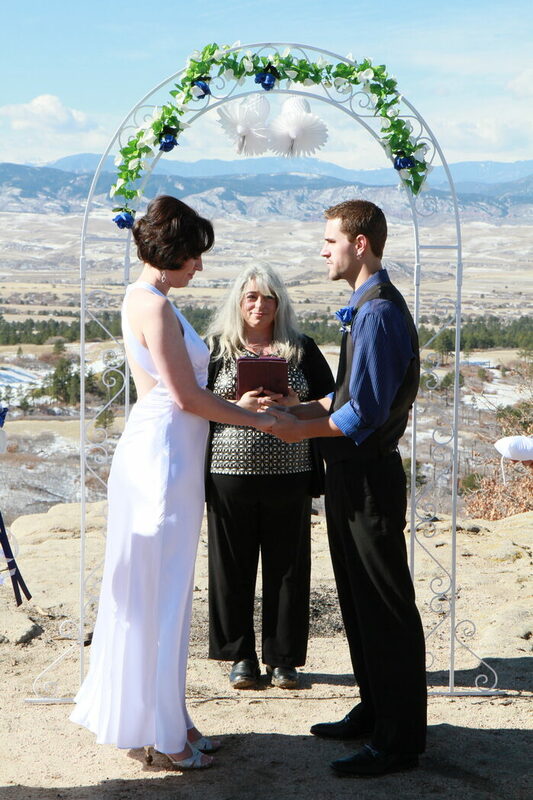 "Kris was a true pleasure to work with she came out north of Boulder to a remote location to perform the ceremony and it was a beautiful ceremony she did absolutely excellent job I would recommend her highly." Kris did an outstanding job coordinating the ceremony and keeping it fun. Without her we would have honestly been lost and not been able to pull off such a great wedding. Also she made changes and tailored our service to us. No complaints just praise especially when you consider her very affordable price. Kris is awesome and we highly recommend her for any type of ceremony. She worked with us closely to make sure the ceremony was exactly what we wanted. Very fun but professional at the same time. She is the best! Thanks Kris for making our special day amazing!